Nemo CEM solution is a powerful, flexible, and scalable set of tools for professional customer experience management and monitoring of wireless network performance and services from the end user point of view. 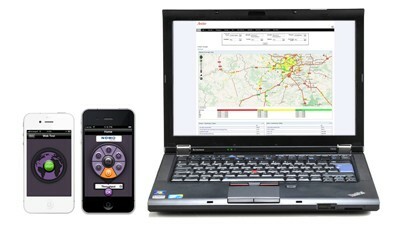 Nemo Qmon provisioned and installed over the air (OTA) on commercial smartphones calculates KPIs based on the subscriber location, network scenario, and session criteria. Nemo Qview server aggregates KPIs transferred via HTTP from one or a million of smartphones simultaneously. Dashboards and reports can be customized thanks to an easy-to-use back office tool allowing users to know in real-time exactly why, where, and what is happening. With the Nemo CEM Solution operators can easily and discreetly collect QoE data for mobile customer experience management directly from their customers while they are using their smartphones. With the solution embedded on the customers’ smartphones, operators can more confidently guarantee a high quality of service, hence improving the quality of end-user experience. • Quickly deploy optimized network and service performance tests on any mobile operation system on multi-RAB (Radio Access Bearer) including Wi-Fi and LTE. • Measure and analyze real-time end-user device KPIs (QoS, QoE) to detect potential service degradations before any serious impact. • Become aware of network coverage and service weaknesses perceived by real customers. • Ensure sustained quality of service (QoS) for voice, high speed data, and any 3G data service.